Just like a clean and tidy home, lists make your workspace much neater here on Wishpond! If you're not sure how to make a list as yet, you're on the right article! On your leads Dashboard, click 'create list' on the left side of the page. A static list allows you to manually add leads to the list by importing them. Alternatively a smart list allows you to use conditions to dynamically pull leads to the list. 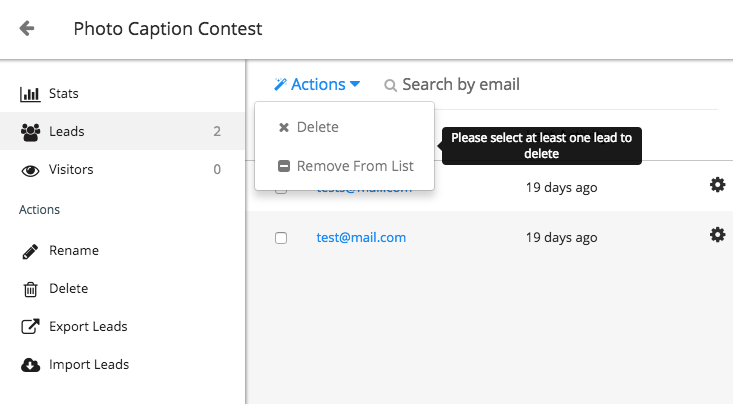 You can use conditions like converting on a campaign, opening/clicking an email and much more! Leads would then be added to the list as they meet these conditions. To search for a list that you have created, you can click the 'list' option and search by scrolling down or using the search bar. To edit your list, go ahead and click on it after locating it on the list page above. If editing a Smart List, click 'View/Edit Conditions' in the left side panel. You will then be able to change the conditions for the list. Keep in mind if you're trying to edit a Static List that leads are manually added. 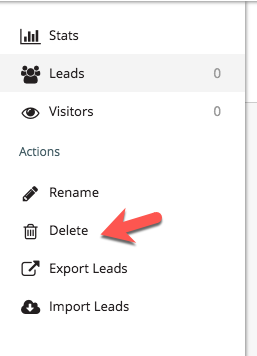 You can import more leads into the list by selecting the left side panel 'Import Leads', or you can manually delete leads from the list's dashboard. If you no longer want that list, easily delete it by clicking the option on the left. Do you have any questions that this article didn't clarify? Let us know on chat/email so we can help you!